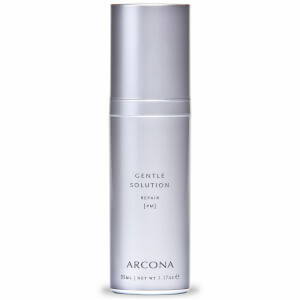 This nourishing facial cleanser replenishes dehydrated and depleted skin as it minimizes the appearance of pores. Vanilla and Beta Glucosamine soothe and balance skin. Kiwi Extract nourishes and hydrates skin. Moisturizes skin with Coconut Milk and Black Currant Oil. Recommended for dry and aging skin types. Use daily: Apply to wet face with light, upward and outward massaging circles. Rinse well. I love this bar! ! It is non drying and my face feels fresh, clean, and soft! I purchased the cream bar and have been using it for over a month now, it is amazing!!! The bar produces a soft creamy lather that cleans your skin, reduces your pores, and leaves your skin moisturized. I love it!!! I purchased a travel set and this bar was in it. I was a bit wary about using a bar vs. cleansing milk for my face - fearful of it drying my skin out and leaving residue. Not with this bar! Only a little of suds gets rid of the dirt and make up. My skin is left perfectly balanced. Very light fresh smell. The travel bar lasted 2 months of once a day use (each night). I look forward to using it. I will buy again. I like to use this cream bar as my nightime cleanser. It makes my skin feel clean and not dry at all. It is easy to lather and feel smooth when massaging onto face. Its going to last for a very long time. My skin is so sensitive and dry I only wash it in the evenings-- just water in the morning. But this bar is so gentle I use it in the mornings and night! It's more gentle than Cetaphil and more natural. It isn't a typical "soap"-- it's glycerin based so there is near to no lather. Skin feels clean but not tight.I've heard that it can "melt" after a while, so I just cut out a small wedge (1/8th) and keep the rest in a ziplock in the fridge (not sure what freezing would do to it). Will last a loooong time!Highly recommended for step one of any skincare regimen! Only downside is that it's hard to travel with and not easy to keep in the shower. Not a big deal.